In this age of deadly burlesque — one that brings to mind the 1930s and the atomised politics of great power conflict, class resentment, clashing ideologies, racism and economic injustice — it seems timely to offer a burlesque work from that earlier time. Who’s on First? was first performed on American national radio in 1938 by the comics Abbott and Costello. It is introduced with a meditation on the irresistible rise of China’s uncrowned king. This is followed by an essay by the Hong Kong political analyst, Lee Yee 李怡. In it Lee discusses the historical woes of Chinese political succession. 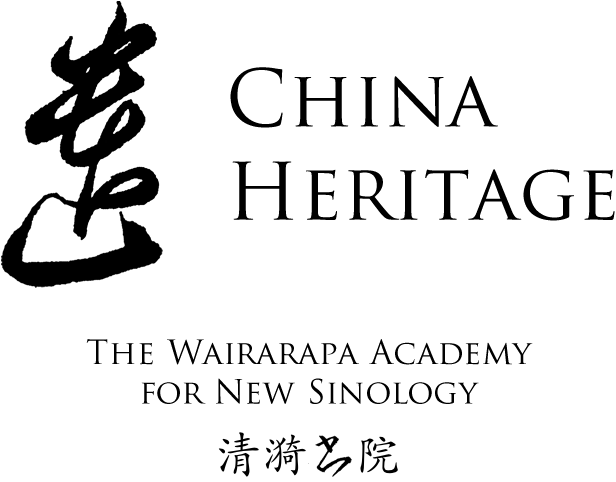 This is the fourth essay by Lee Yee to be featured in The Best China section of China Heritage. At the Nineteenth Party Congress held in Beijing in October 2017, this principle was written into the Communist Party’s Constitution which, in effect, completed CoE Xi Jinping’s apotheosis, further elevating him to become Chairman of Everyone and Everywhere. From 24 October, commentators in the international media repeated their own new formulation declaring Xi to be the ‘most powerful Chinese leader since Mao Zedong’ (see, for example, here and here). In titular terms alone, however, Xi easily outstrips the Great Helmsman and, because of his hands-on political, bureaucratic, policing and military power, he could well be seen as the most powerful leader in Chinese history. As for power beyond the farrago of the propagandists and the mechanisms of the party-state — that is in the hearts and minds of the bureaucracy, the business community and the populace at large — it is too early to essay an independent judgement of the chairman’s reach. The Nineteenth Party Congress concluded when Xi Jinping presented to the world five new members of the standing committee of the party-state’s ruling Politburo (Xi himself and Premier Li Keqiang continued in their former positions). An analysis of the ages and career trajectories of these men immediately led analysts to conclude that no clear successor in line to take over when Xi ends his second term in office in late 2022. With Xi Jinping Thought now enshrined in the Party Constitution, regardless of any titular diminution in the future Xi is now, in effect, China’s Chairman for Life. Emperor Qianlong in Chinese characters and Manchu script (abkai wehiyehe). Gaozong 高宗 of the Qing dynasty (Aisin Gioro Hungli 愛新覺羅 · 弘曆, 1711-1799), is known by the reign title Qianlong 乾隆, or as Abkai wehiyehe hūwangdi in Manchu. During his long reign he was known by Tibetans as the Mañjuśrī Emperor 文殊皇帝 (曼殊師利大皇帝; འཇམ་དབྱངས་གོང་མ་ཆེན་པོ་; मञ्जुश्री) and the Mongolians called him Tngri tedkügči qaɣan (ᠲᠩᠷᠢ ᠲᠡᠳᠬᠦᠭᠴᠢ ᠬᠠᠭᠠᠨ, Тэнгэр тэтгэгч хаан or 騰格里特古格奇汗). Qianlong’s posthumous or ‘temple name’ was Emperor Chun 純皇帝, Yongkiyangga (‘the complete’) in Manchu. This was prefaced by a list of double-barreled epithets that reflected the deceased ruler’s peerless attributes: 法天隆運至誠先覺體元立極敷文奮武欽明孝慈神聖. 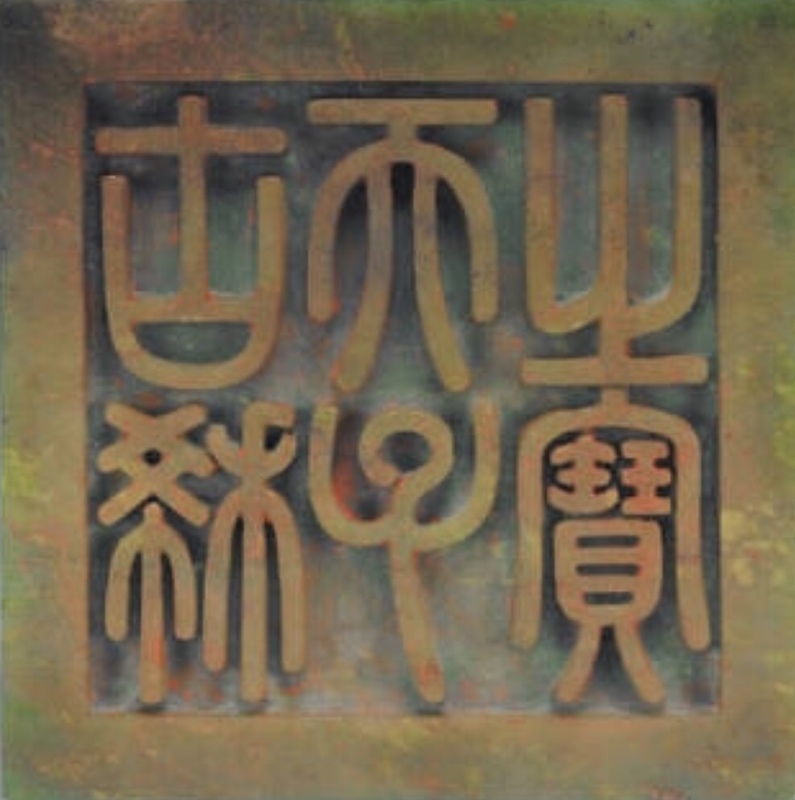 Qianlong also boasted a number of other names; these were carved in seal form and used frequently. One that the emperor favoured in his later years was ‘The Old Man of Ten Perfect Victories’ 十全老人, a reference to successful military campaigns. But that adventurism came at a high cost and it contributed to the decline of the dynasty’s fortunes. 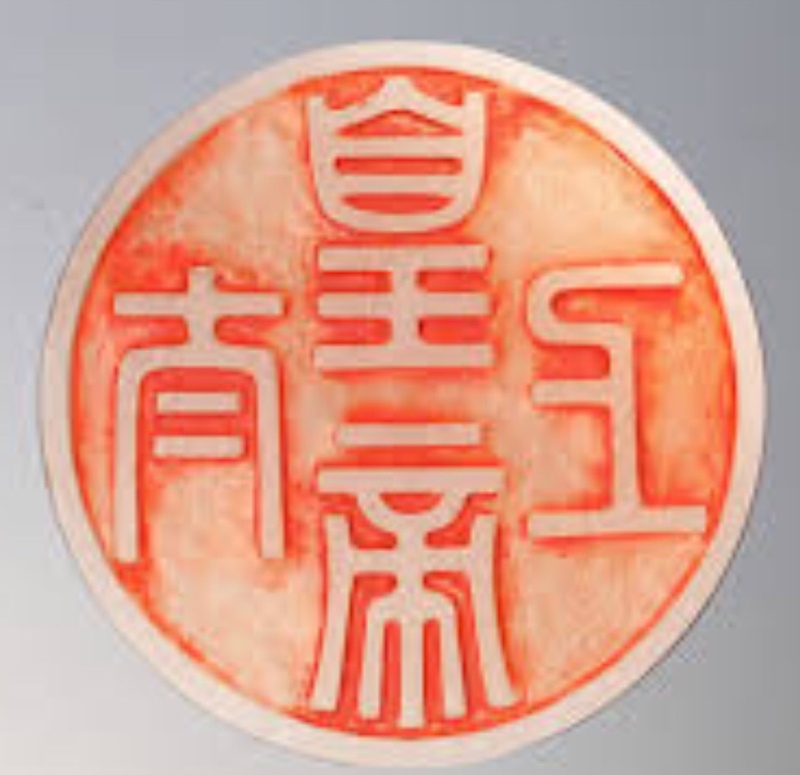 Seal of the Supreme Emperor. Before reaching the sixtieth year of his reign, to avoid out-ruling his grandfather Shengzu, the Kangxi Emperor, Qianlong formally abdicated the throne. Known as ‘Yao-like succession’ 堯禪 this act of grace is supposedly undertaken by a wise ruler during an enlightened and prosperous age. In semi-retirement Qianlong bestowed upon himself the title ‘Emperor of Emperors’, or Supreme Emperor 太上皇. Ruling under the reign title Jiaqing 嘉慶, Qianlong’s fifteenth son Yongyan 顒琰 was emperor in name only. The dotard’s rule continued up to the time of his death. Well may we presume that, no matter what formal title(s) Xi Jinping may retain following his second five-year term, to those versed in the country’s history, he will regardless be China’s 太上皇, ‘Supremo Emeritus’. 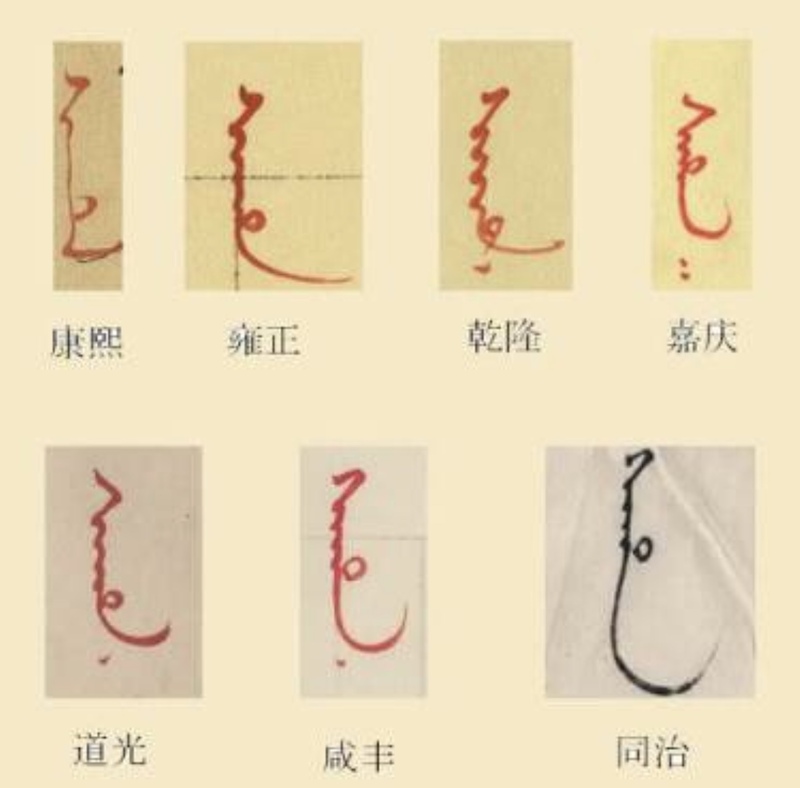 ‘Saha‘ (知道了) in Manchu: ‘We Are Aware’ or ‘Noted’, in the hand of seven Qing-dynasty emperors. Barmé, ‘For Truly Great Men, Look to This Age Alone: Was Mao Zedong a New Emperor?’, in Timothy Cheek, ed., A Critical Introduction to Mao, Cambridge University Press, 2010, pp.243-272. The comic dialogue ‘Who’s on First?’ relies on word play as the comic performers discuss baseball players named Who, What and I Don’t Know. Xi Jinping has covered all three bases. Costello: That’s what I want to find out. Abbott: I say Who’s on first, What’s on second, I Don’t Know’s on third. Costello: And you don’t know the fellows’ names. Costello: Well then who’s on first? Costello: I mean the fellow’s name. Costello: All I’m trying to find out is the fellow’s name on first base. Abbott: What’s wrong with that? Abbott: That’s how he signs it. Costello: All I’m trying to find out is what’s the guys name on first base. Abbott: Well, don’t change the players around. Costello: I’m not changing nobody! Costello: I’m only asking you, who’s the guy on first base? Costello: If I mentioned the third baseman’s name, who did I say is playing third? Abbott: No. Who’s playing first. Full the full text of the routine, see here and, for an audio-visual version of the skit, see here. ‘Seal of the Son of Heaven at Seventy’ 古稀天子之寶 from the Qianlong reign. Xi Jinping will be seventy at the end of his second five-year term in office.